The head of an Aussie firm has walked across hot coals as part of the Dare the Boss campaign. 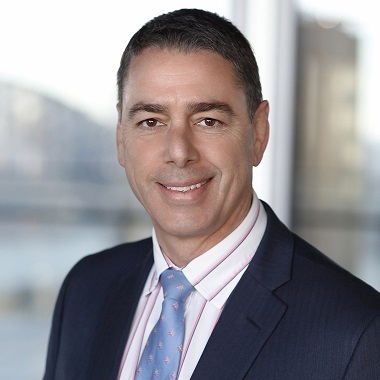 Clayton Utz chief executive partner Rob Cutler (pictured) took on the challenge earlier this month to raise money for the Children’s Cancer Institute (CCI). Dare the Boss is an annual fundraising initiative of the CCI, where staff challenge their bosses to complete a task such as shaving their head, skydiving or swimming with sharks. Mr Cutler performed the dare live on the Today show, accompanied by other executives including Salesforce regional vice-president Rob Thorne and News Corp NSW managing director Michael Wilkins. Mr Cutler raised $24,725 for the CCI, and is ranked as the highest individual fundraiser on the Dare the Boss website. The CCI is the only medical research institute in Australia wholly dedicated to ending childhood cancer, which kills more children than any other disease in the country. Clayton Utz has provided pro bono services to the institute for 26 years.